Earlier this month we saw a Corsair prototype that featured a wireless mouse whose mar served as a wireless charging station, but now Logitech steps forward and bring a similar product to market: the Powerplay and Lightspeed mouse. 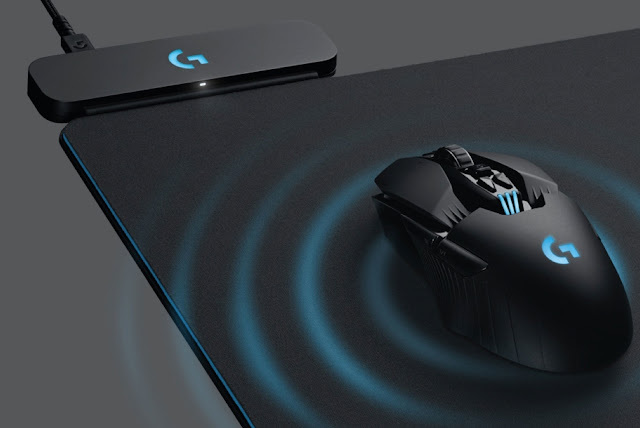 Logitech hopes to fix two pf the main issues with wireless mouse. First of all, to prevent the nagging issue that its battery will run out at the worst possible moment, by using a Powerplay wireless charging mouse pad; secondly, it features its Lightspeed technology that promises to reduce wireless latency to just 1ms, providing performance similar to any high-performance wired mouse. The Powerplay charging pad will cost $100, and will require one of the new Lighstpeed mouse models: the G703 Lightspeed ($100) or the G903 Lightspeed ($150), which raises the cost of getting rid of wires to $200 or $250 respectively.